Home › Construction Spanish › Jobsite Leadership › Bananas, Language Skills to Change Your Life. 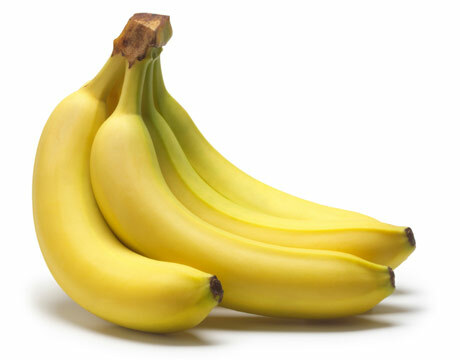 Bananas, Language Skills to Change Your Life. Until last week (late Thursday evening, to be specific) I didn’t. It’s not that I have never successfully peeled a banana, I have. And while I am not one to brag about any banana-peeling prowess, I thought – as far as these specific fruits go – I was above average. After watching this video I was appalled. Not at myself. And not at anyone in particular. I was mad… en general. I was mad in the way you are when you look at pictures of yourself when you were 5 and your parents appeared to have been involved in some weird bet where the most ridiculous-looking kids won large cash prizes. You’re not mad at your parents per se, you’re mad at the conditions that allowed them to be OK with you looking like that. How could I have survived this long tearing open bananas in such an obviously absurd way? I mean… there are only 2 ends to a banana! And despite my carefully cultivated technique of vertically incising the banana skin along the ridge near the top with my fingernail, I routinely mushed the top inch of the banana. I then examined the newly-brownish mush with dismay… and vowed to do better next banana time. One simple video changed my next banana time. If you ever had any interest in learning Spanish to make life easier on the construction site, this video may change your next time. Like banana peeling, people have been going about learning Spanish entirely backwards. 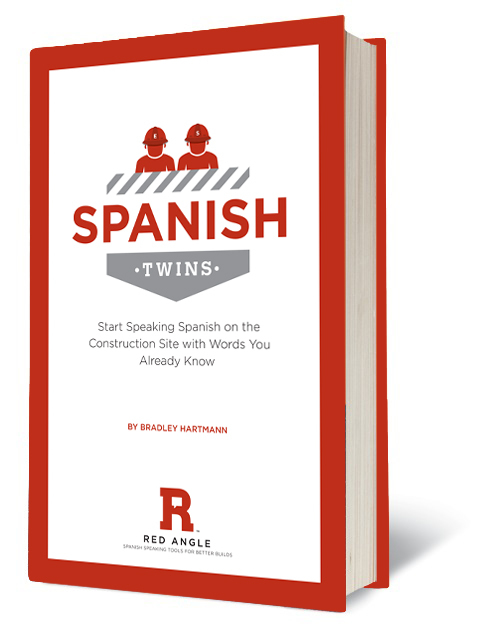 As far as Construction Spanish is concerned, you can learn 1000 relevant words in Spanish that are the same or nearly the same in both English and Spanish. That is as easy as a foreign language gets. Trust me. I spent 8 years in the classroom learning Spanish. They made it much harder than it is. There are so many ways to do something harder than it needs to be, but you owe it to yourself to try it the easy way. For example, Rosetta Stone prides itself on teaching you the language like you did when you were a baby. But you’re not a baby. You’re an adult. And adults can take shortcuts based on prior experience or intellect to limit frustrations. Staring at a computer screen for 50 hours (their recommendation) for each level – and there are 5 levels – and only looking at pictures just feels wrong intellectually. And it should. There are shortcuts to learning Spanish. Take them. Spanish is a consistent language. They have rules and when the rules are broken, they apologize and help you work through it (hence the accent marks over vowels). In English, there are as many exceptions to the rules as there are rules. Try explaining the pronunciation differences between laughter and daughter…. As an adult, I can explain a few basic Spanish language shortcuts and it can solve hundreds of questions that would persist if you were only watching strangers eat food, board vehicles, and smile for the stock imagery. Spanish is easy when you have an expert guiding your learning. You learned how to peel a banana from watching a guy act like a monkey. Well, when it comes to Spanish, I am the monkey. No… wait. That came out wrong. The point is… there are several techniques you can use to radically simplify learning Spanish. Learn them. Step Uno: Look for Spanish Twins. If you can jumpstart your Spanish vocabulary from 12 (the menú at Taco Bell) to 1000, you can jumpstart your momentum and affect your attitude. Affect your attitude and there is no stopping you from achieving greatness. If you want to learn some Drywall Spanish for example, go to USG’s website and search “Spanish.” They have all their content in Español. Then look for words that look the same and go from there. You’ll be surprised with what you find. Bradley Hartmann is founder and el presidente at Red Angle (www.redanglespanish.com), a Spanish language training firm focused on the construction industry. Buy his book Spanish Twins from his website.